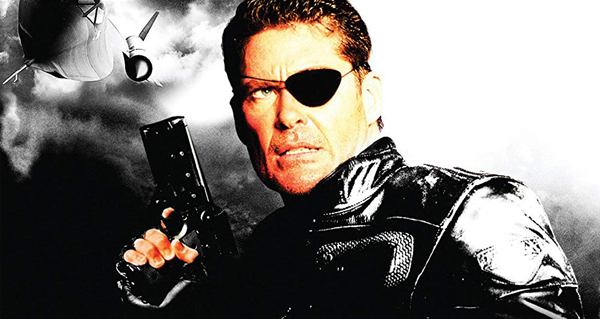 Samuel L. Jackson wasn't the first live-action Nick Fury. That honor belongs to David Hasselhoff, of "Baywatch" fame, who took on the role in a 1998 tv movie that was also a failed pilot for a television series. Originally written David Goyer, who also gave you the movies "Blade" and "Batman Begins," this spy thriller evokes all the campy thrills of its action-packed TV contemporaries "Xena: Warrior Princess" and "Hercules: The Legendary Journeys." It's also one of Marvel's most notorious misfires! But could it be that "Nick Fury: Agent of SHIELD" was actually canceled too soon? Film critics William Bibbiani and Witney Seibold explore this infamous dud in the latest episode of the podcast!